Three pages written just after the September 2016 Artificial Light at Night conference for Nuovo Orione, one of the two reference magazines for amateur astronomers. The article was eventually published just in May, and some of the presented issues have been developed, but the article still has its points of interest. This article makes a good pair with the other one I published on “the January issue of Le Stelle”. The latter was actually written after the article published in May, and it approaches the issue of light pollution from a slightly different angle. Le Stelle, no. 163: Where are we at with the sky? 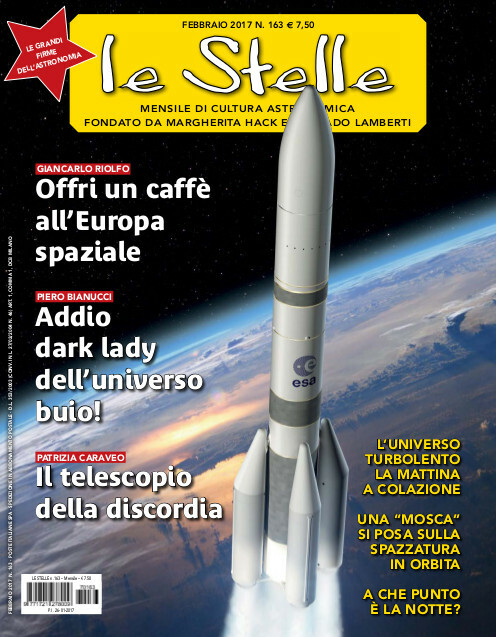 The new issue of “Le Stelle”, one of the two main Italian magazines about astronomy and related topics is available. If you regularly follow the blog posts and the announcements from the BuioMetria Partecipativa project, you will not find breaking news in the article. 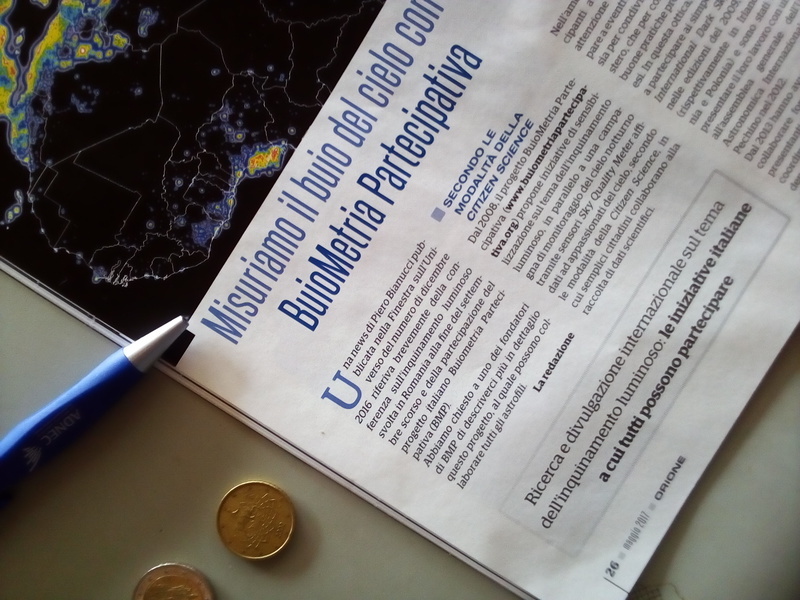 However, it is an interesting summary of our activities, plus you might be enticed by some of the other topics proposed by the magazine..
BuioMetria Partecipativa: environmental monitoring going from Southern Tuscany to Europe and back. The results of the “Loss of the Night” European Project, conducted by common citizens over four years. Last October the “Loss of the Night” European project was concluded. It was funded by the COST programme of the European Commission, and had started in Fall 2012. The article proposes a summary of the results of the project, with a specific angle on aspects concerning Italy. The scientific community has been acknowledging for years the fact that artificial light at night, if used in excess or inappropriately, will create light pollution and will represent a problem for its effects on human health, fauna, flora, landscape (also the starry sky is part of the landscape) and energy consumption. 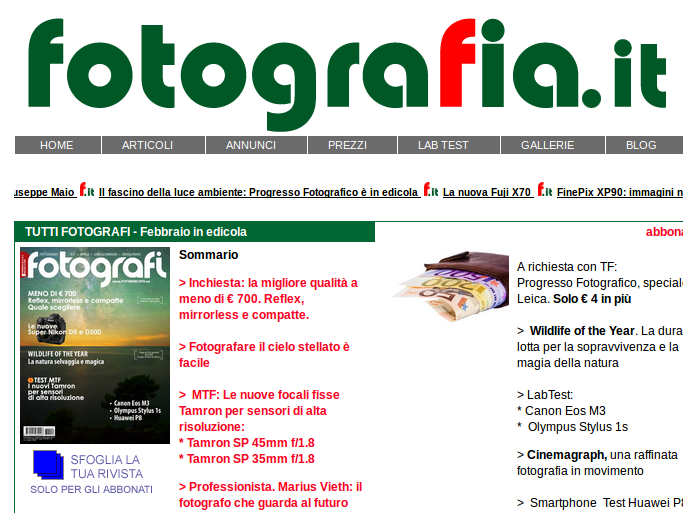 Michele Cati an astrophotographer, participating since last year in the BuioMetria Partecipativa project, published an article in the February issue of “Tutti fotografi” with some of his night sky shots. For Italian-speaking folks: here is the radio interview: (MP3, 7 Mb). In the photo, some of the “gang” (players and not) following the interview live, just after the show at Bar Vineria La Combriccola. 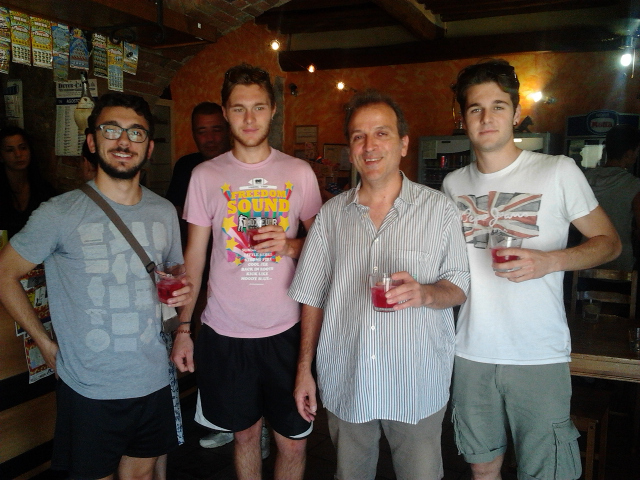 Andrea Bartolini is the first on the left. Thanks again to Macondo/Radio Popolare Milano and to Disma Pestalozza for hosting us. This is an interview for Radio Popolare Milano made in preparation for the BuioMetria Partecipativa outreach event on July, 30, 2015 in Milano. 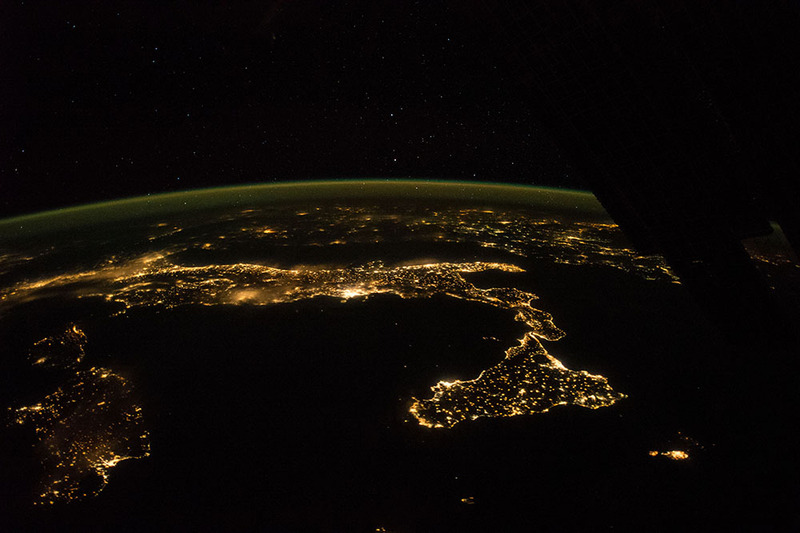 The talk recalls ideas on participatory open mapping, emerging issues with high color temperature LEDs, tasting tasty products from Southern Tuscany, and other stories related to night sky quality. 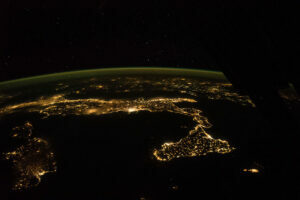 Credit: image number ISS041-E-90188; Italy at night, panorama. ISS Crew Earth Observations Facility and the Earth Science and Remote Sensing Unit, NASA Johnson Space Center; http://eol.jsc.nasa.gov. The image was also used in the May 2015 issue of “Philosophical Transactions B” on the effects of artificial light at night in ecology. Thanks again to Macondo for hosting us! For all of the Italian audience, please check out the podcast. The radio show was proposed to (1) launch the lecture scheduled for the afternoon of the same day at the Institute of Hydraulics at Politecnico di Milano, Italy, and (2) do some live tasting of genuine products from Southern Tuscany. If you are in a hurry, please skip to minute 10, as the first part of the show was about something else. After that, you have 22 minutes of finely crafted pibinko-style improvisation, hosted by two friends. Why Sardinia is part of a radio show focused on Souther Tuscany is explained in the last segment of the podcast.